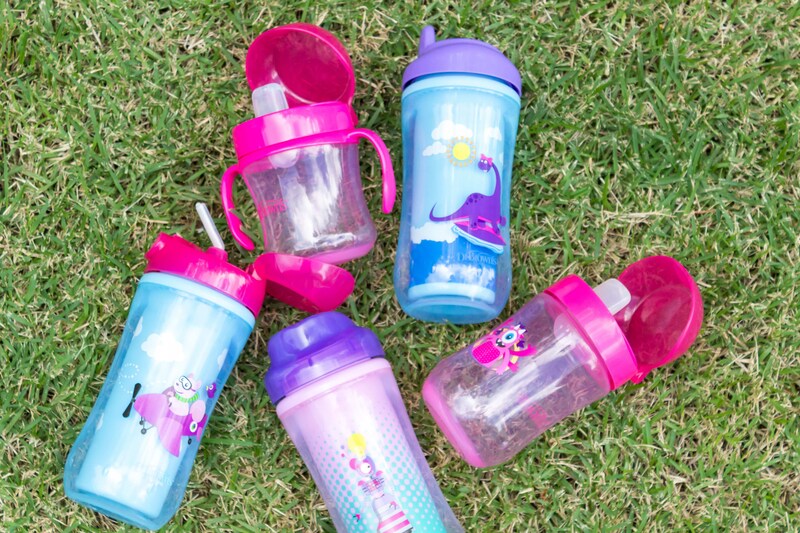 There really is no magic date when you should start the transition from bottles to sippy cups. I feel that every child is different in their developmental process that you would know when it’s a perfect time for them to make the switch. 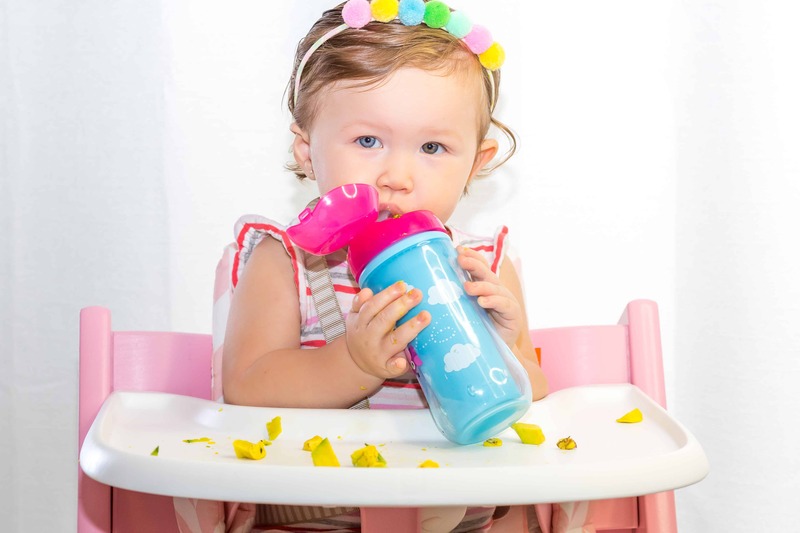 With Kaia, she began as an early eater at 4 months old, so she began drinking from a sippy cup then. 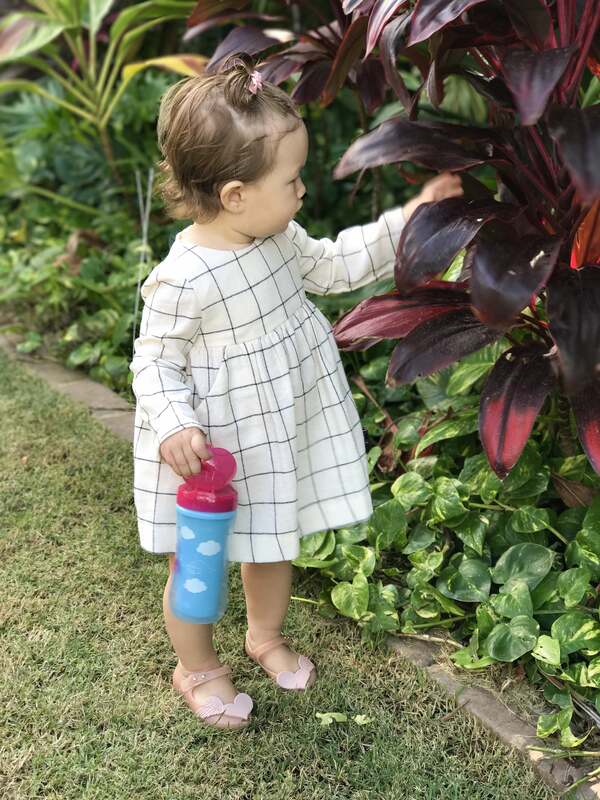 It was challenging in the beginning on finding a cup that she would drink from, but with many trials and errors, here are some tips that can help you switching from bottles to sippy cups. There are so many to choose from that you almost get overwhelmed. Hard-spouts, soft-sprout cups, with handless, without handles, ones with a straw, the list is endless. 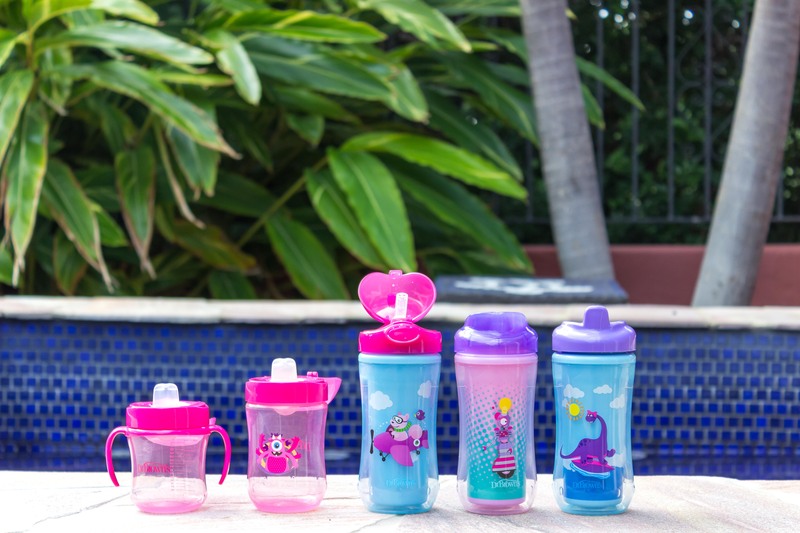 We really like Dr. Brown’s (loved their bottles, so it felt right to use their sippy cups!) 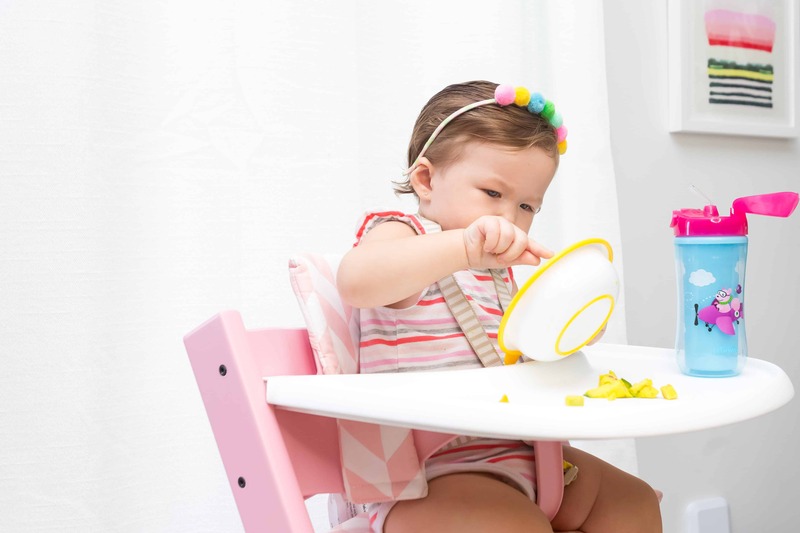 and love that they have a variety to choose from for your growing toddler. 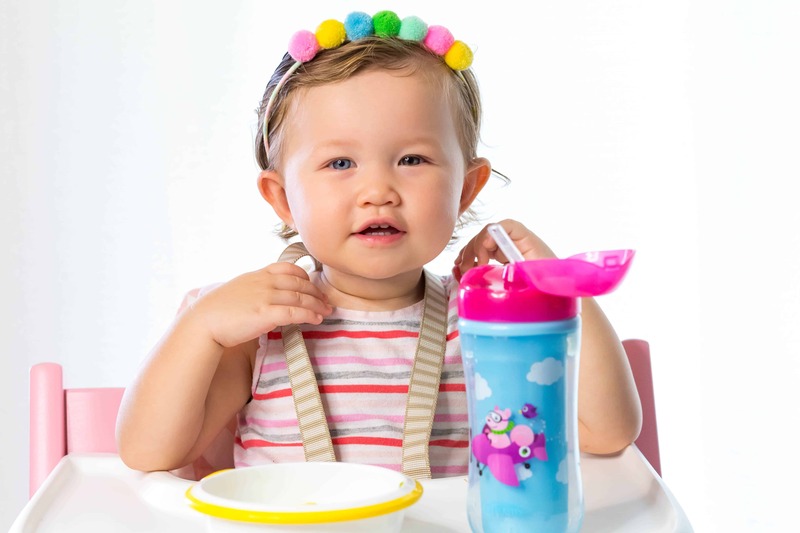 Kaia’s first cup was their Soft-Spout Transition Cup, also known as the “first cup.” It comes with handles that make it easier for them to hold and offers a spill-proof silicone spout valve that makes sipping easy for tiny mouths. It did practice for her holding her own, so just know it’s not an overnight process. As she got older, she definitely needed a spout that was more of a faster flow. She went from this to their Insulated Straw Sport Cup. 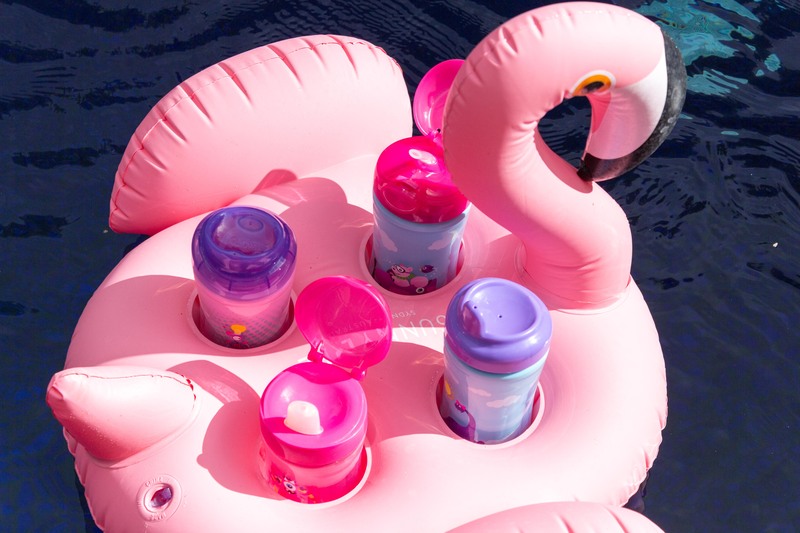 We like that the insulated cup keeps drinks cold and fresh, especially living in Hawaii where the heat can easily warm up your drinks quickly. It’s super lightweight and durable and she has a really easy time sipping her drink with the soft silicone straw. 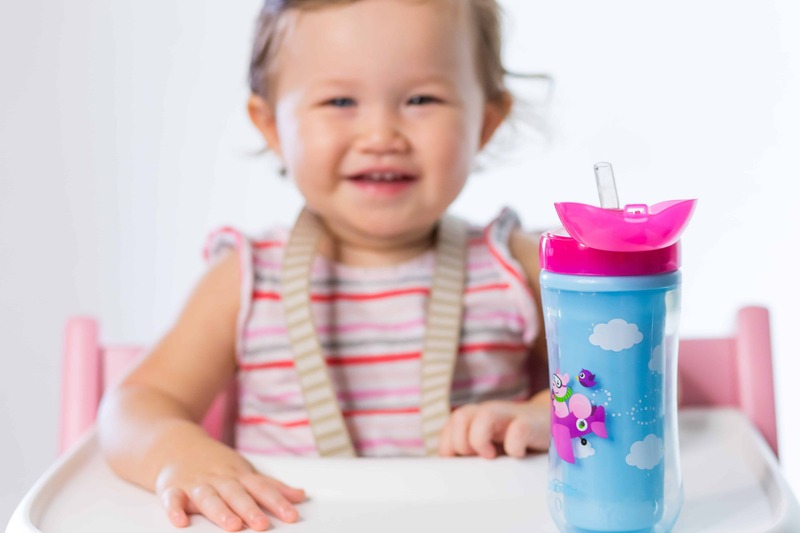 If your child likes drinking from a straw, he/she will love this one! 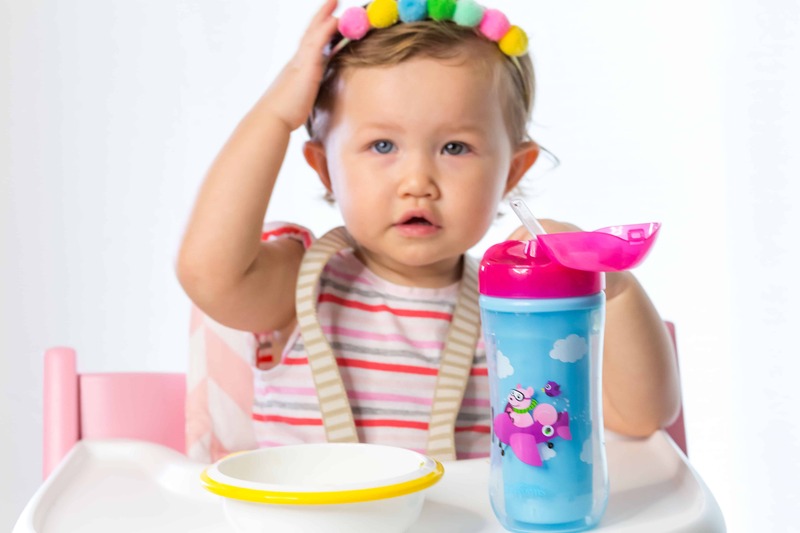 With the other cups, the Soft-Spout Toddler Cup is just like the Soft-Sprout transition cup without the handles and the size is larger. The Hard-Spout Insulated Cup is like the Insulated Straw Sport Cup without the straw and has a silicone valve instead. 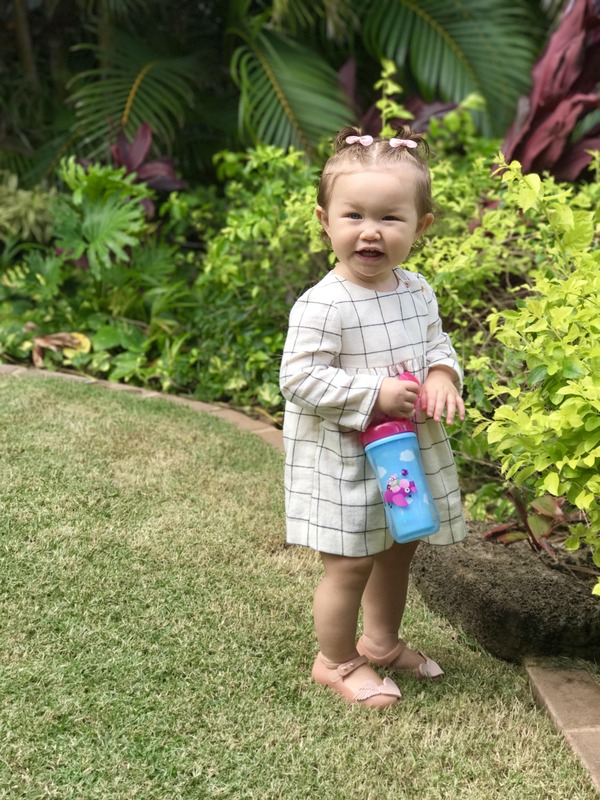 With Kaia still learning how to have a grip on her sippy cups, we are holding off on her trying the Spoutless Insulated Cup, as it’s a great transition from sippy cups to open cups. 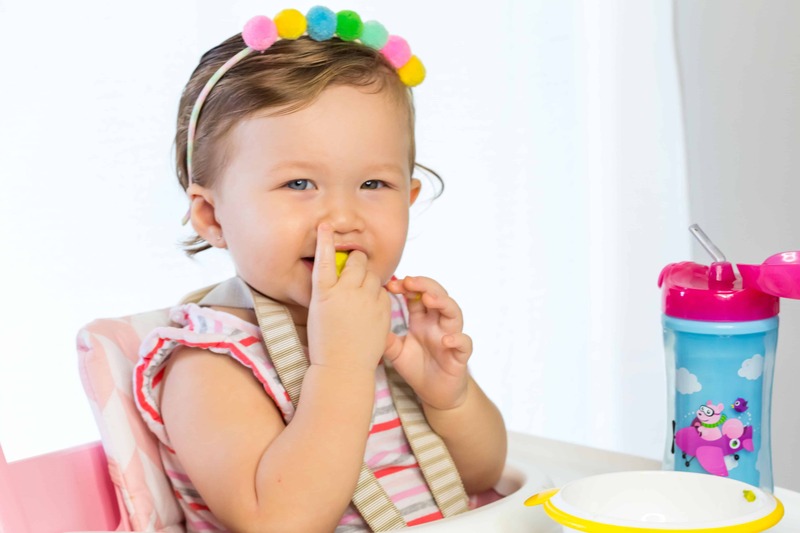 In the beginning, we only gave her a sippy cup with one feeding per day and then we gradually increased it. 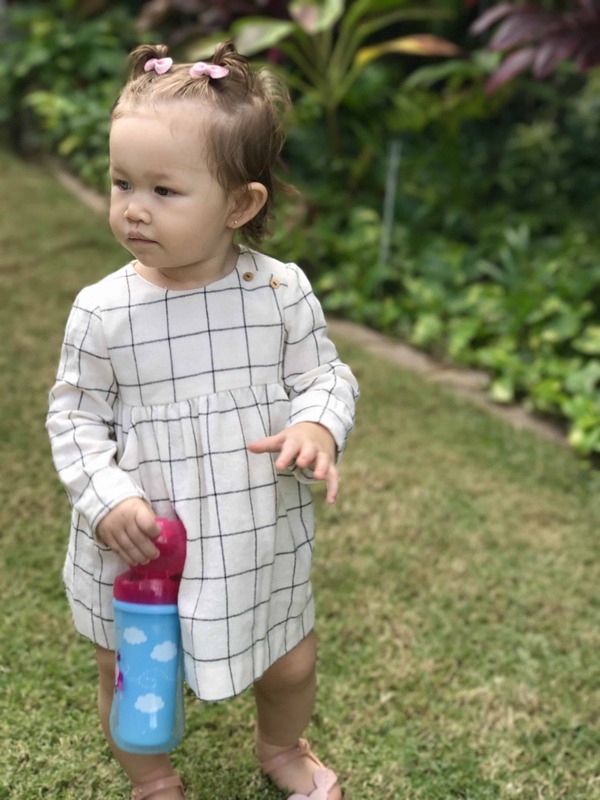 Now, she carries her sippy cup everywhere. Increase it as they get used to it and start with just one feeding per day. If your baby doesn’t seem to take it with water or milk, try using coconut water. Some parents I know will even put juice inside, but they will dilute it with water. 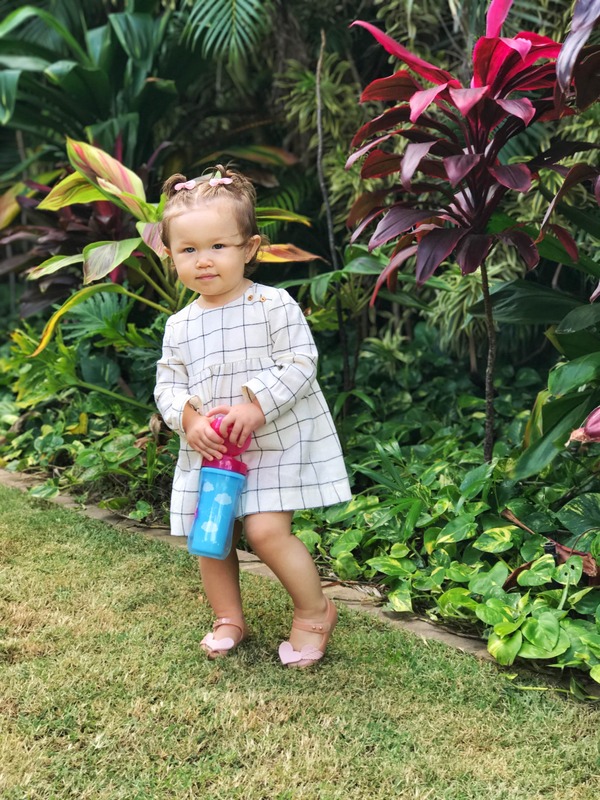 Kaia is a huge fan of coconut water and loves her “juice,” and makes us happy knowing she’s drinking something healthy. 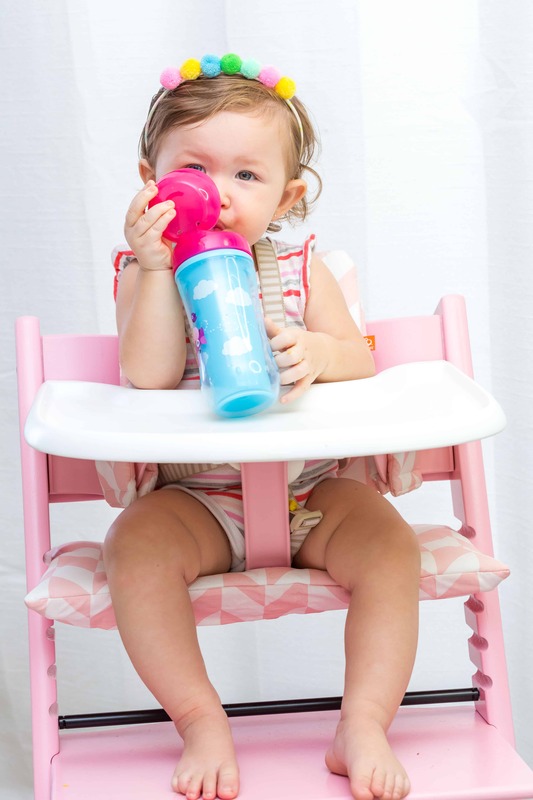 Having a sippy cup with colors and prints can make the transition a lot smoother. 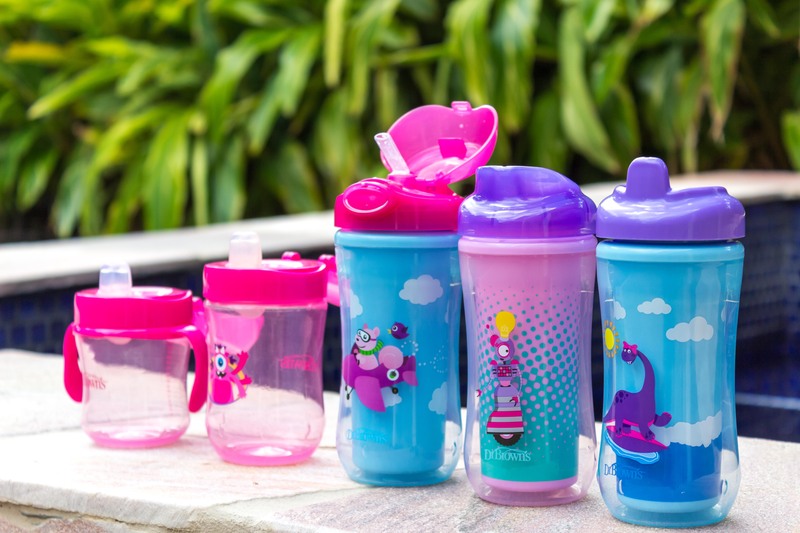 If it has animals on it, name his/her sippy cup with that specific animals given name almost like a favorite stuffed animal. We love that Dr. Brown’s offers a variety of different colors and characters on it. Bye-bye bottles, until we meet again! 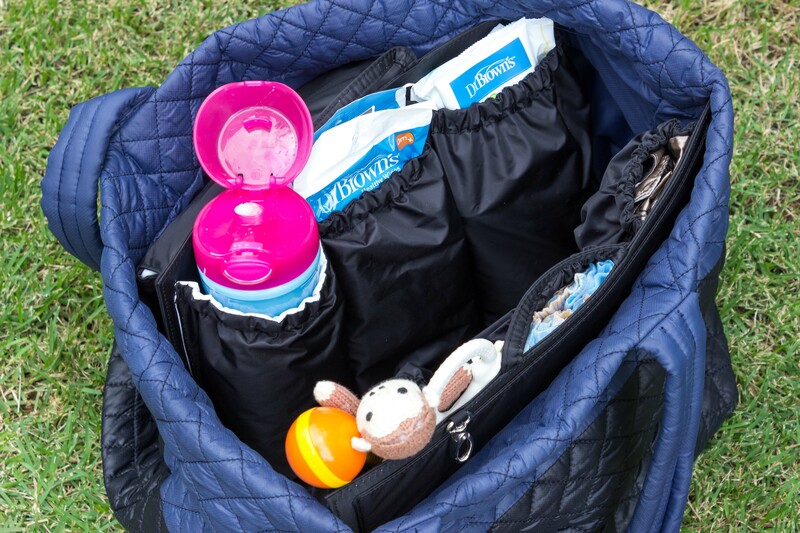 ToteSavvy Classic Diaper Organizer (Amazing organizer for your non-traditional diaper bag) Review coming! *Thanks to Dr. Brown’s for sponsoring this post. As an ambassador for Dr. Brown’s, all opinions are my own.